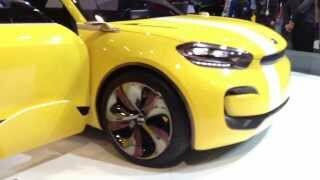 Kia has announced that it will showcase the KND-7 concept at the 2014 Consumer Electronics Show in Las Vegas. The cornerstone of the KND-7 concept is Kia’s UVO system, which serves as the catalyst for connectivity between driver and car. 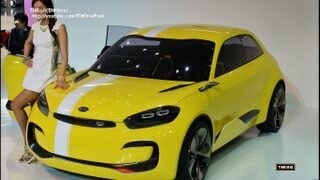 Kia showed an identical four-door coupe concept dubbed Cub at the 2013 Seoul Motor Show back in March. The purpose of the Cub concept was to highlight both the luxurious interior and the new exterior wrapper while also showcasing Kia's Driving Information System, which reads the driver's gestures. The KND-7 is less than four meters long, has rearward-opening rear doors and an 'access-all-areas' interior concept without traditional B-pillars, providing excellent access to the luxuriously trimmed cabin. The KND-7 is powered by a 1.6-liter GDI (gasoline direct injection) turbocharged engine producing 201 horsepower for a powerfully efficient driving experience.